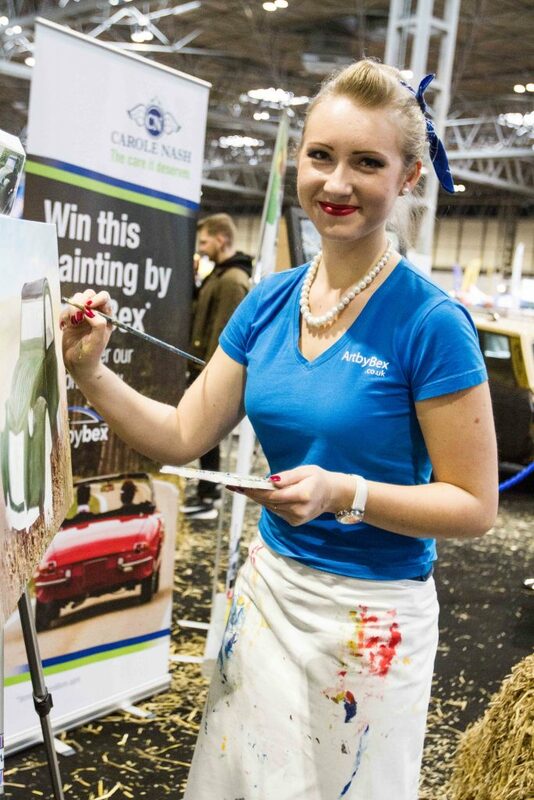 ArtbyBex exhibited alongside Carole Nash Insurance again at this year’s NEC Practical Classics Restoration Show. 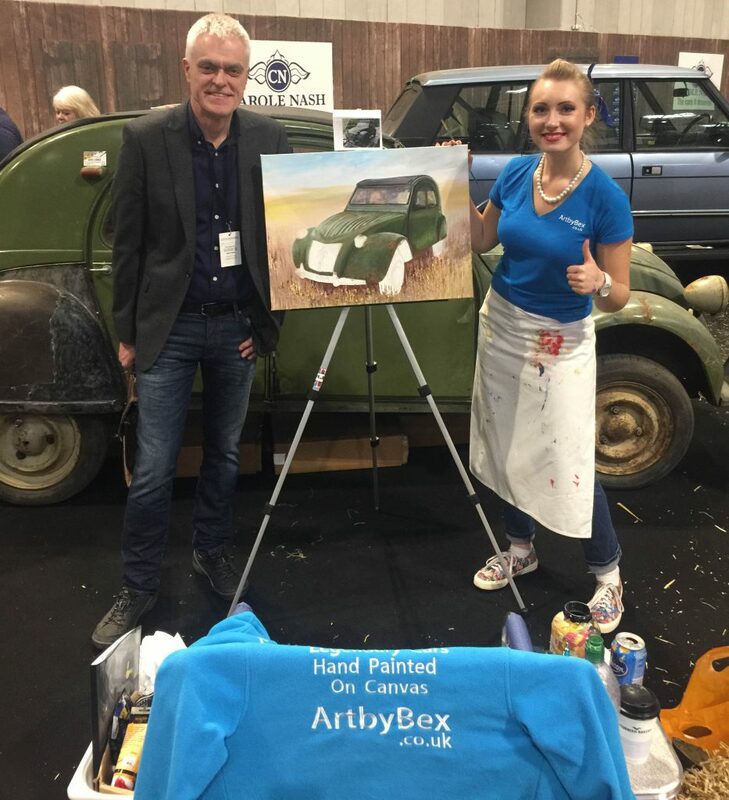 Named the ‘Picasso’ of the show, Bex was seen to paint a Citroen 2CV over the full 3 day event. 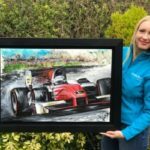 Not only were visitors able to see the painting develop from the blank canvas to the final masterpiece, one lucky visitor had the opportunity to win this show piece. 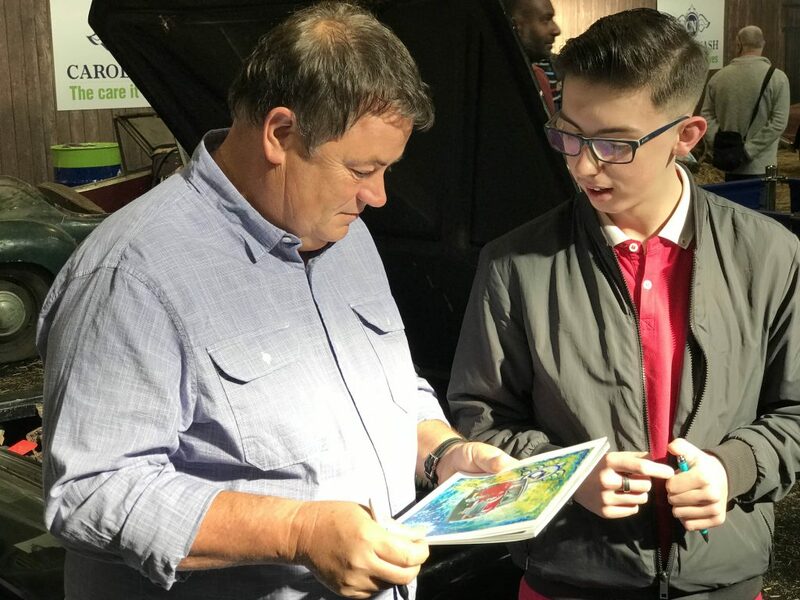 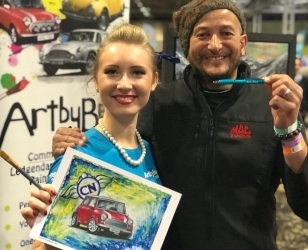 Everyone could take home a piece of Carole Nash as an art print signed by Car SOS presenter Fuzz Townshend, and other well known celebrities at the show. 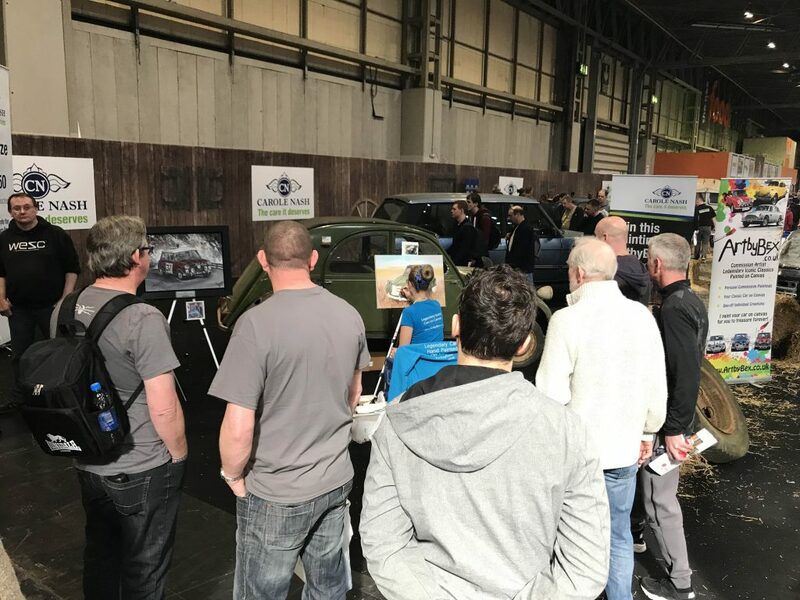 The popularity of the LIVE painting from Bex brought many visitors to the stand thoughout the whole weekend and no doubt the Carole Nash Insurance stand will be the most remembered stand of the show. 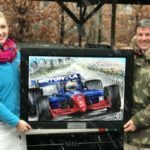 It was my pleasure to be beside this awesome team of people to promote the company through active art.